Our Goal is to insure you have all the answers you need to feel confident about your competition. Here is a compiled list of frequently asked questions. Simply click on the question that fits your best description and the answer will open up for you. Thanks for visiting and we look forward to seeing you at our next tournament! I still need answers, where do I go? There are many ways to reach out if you still have questions unanswered. You can find us at one of our many social medias or call any director for answers. The best solution is to contact us by clicking here for our Contact Us Page. 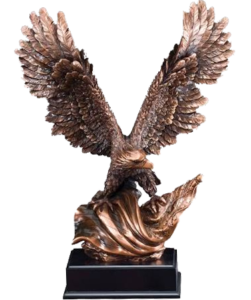 What is the Eagle Award? It is a coveted award and trophy given to competitors in specified divisions who earned the most rating points in both Forms and Fighting during the tournament calendar year. What time does a TKL tournament start? Usually, opening ceremonies will start at 9:30am with Adult Black Belt competition beginning at 10:00am. Be sure to check website home page and facebook page for any changes or updates on start times. I don’t have headgear for the Fighting competition. Can I still compete? You must have all required safety equipment in order to compete. Please check the current Rules & Guidelines for detailed required equipment. Can I perform any Kata/Poomse in Forms Competition? Only traditional forms are allowed. If you have any doubts, you can contact a TKL promoter/director ahead of time to determine if you forms qualify. Is there a spectator fee to come watch a tournament? Yes. There is a small admission fee to every TKL tournament. Can we bring food and drinks to the tournaments? Some of the TKL tournaments will have concessions. But, you are welcomed to bring your own food and drinks. Most of the facilities will NOT allow any food and beverages inside their gyms. Just make use of the common areas outside of the gym. How can I get a copy of the rules of competition? The current TKL rules and guidelines are available on the TKL website. You can view or print it out for your reference. Are spectators allowed on the competition floor to watch the action? No. The safety of all competitors and spectators are very important to the League. Only, authorized personnel are allowed in the competition area. You are welcomed to watch and take pictures from the spectator area. If I am an adult black belt, how can I get certified to be a TKL referee? In order to help referee at TKL tournaments, you must attend one of the scheduled referee certification training seminars or clinics. Check the TKL website for the next seminar or clinic. Is there a competitor’s uniform dress code? All competitors must wear white martial arts uniforms in order to compete. Only minimal patches on chest, sleeves, or back of uniform top are allowed. No ornamentations are allowed on the uniform pants. Can I send in my registration and payment by mail or in person instead? Yes. If you don’t have a registration form, then go to the website to download and print your form or contact the League to have a packet sent to you. Remember, only cashier checks, money orders, or cash are accepted by this registration method. Can I register and pay for a TKL tournament online? Definitely. Go to the TKL website at www.TexasKarateLeague.com to register. You can pay your entry fee by debit or credit card. Do I have to be invited to compete in TKL tournaments? If you received any kind of direct communication from any TKL representative, then you have been invited. Otherwise, it’s easy to get involved. Just contact one of the League’s directors, advisors, or ambassadors through the TKL website. Can any martial arts school and their students compete in a TKL tournament? Yes! All martial arts styles and schools are welcomed to participate in TKL tournaments. Just be willing to follow the rules and guidelines of the League.